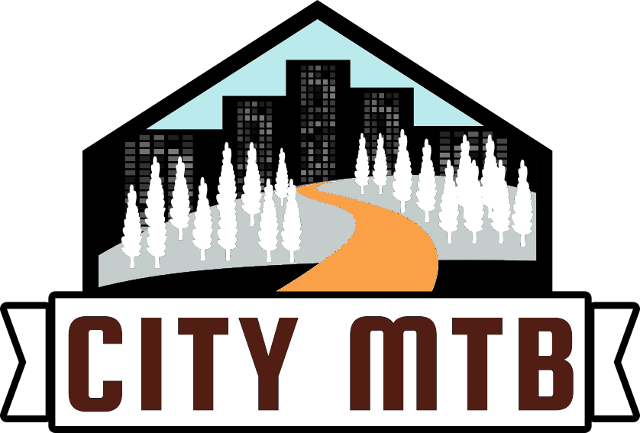 City MTB is an advocacy organization cataloging and expanding the number of urban mountain biking trails. City MTB is attempting to give all those that live in villages, towns and cities the ability to "ride to your ride" by taking the mystery out of how to create mountain biking experiences in every kind of neighborhood. Why can one town create opportunities for all users, hikers and bikers, and another town can not? Magazine and newspaper articles highlight a town not that different from your own that is building mountain bike trails in a local park. But the mere mention of the idea is scoffed at by your local officials or elicits op-eds in your local paper about how mountain biking will destroy the parks. Why is this? Are the people in your town and in your governments less smart, less motivated or just lazy? The fact of the matter is that no place or group of people is smarter than another, more motivated or more industrious. What is different location to location, however, is the willingness to try, the willingness to trust their neighbors and themselves. Because of that willingness, some cities experimented. Many of their ideas worked, some failed. Regardless, lessons were learned along the way. At City MTB, our mission is to help cities, towns and neighborhoods understand what urban mountain biking really is. The entire process that is used by us is built on the belief that the best way to solve problems, real or imagined, is to learn from others. The lessons from other cities have been distilled down so you don't have to experiment. The result of the distillation is a plethora of options to create great mountain biking in your neighborhoods. City MTB will never produce a boilerplate, top down, "one way or the highway" option. There will never be an edict from us telling you where trails should or shouldn't go. It will cut through the rhetoric, the myths and FUD (fear, uncertainty, doubt) to get to the ground truth. Because when it comes to riding to your ride, the truth will quite literally set you free. Our public spaces should be for everyone: hiker, biker and, most importantly, Mother Nature. Everything in life is a balancing act. What is good for one group might be negative for another. So instead of being tied to historical uses or believing one user group's impacts can be dismissed while anothers is placed under a microscope, lets look at all the user groups equally and find ways to give them their access without lowering the wildness of the places these groups go. We can do this while talking to our fellow citizens and finding how to make the best thing we can for everyone, even if we don't understand or agree with the activities those persons might enjoy. Instead of thinking of that other user group as "those people", why not listen to them and use their concerns and opinions as a way to make your activity of choice that much better? City MTB supports reducing or removing active uses, like ballfields and mowed lawns, from parks and public lands. This process of returning public space to nature is known as rewilding. Rewilded lands are cheaper to maintain for your town, better for every aspect of city life from stormwater runoff to air quality , better for humans and most importantly, better for the environment. Rewilded lands also create the spaces needed for immersive nature based activities like hiking, trail running and mountain biking. Tribal knowledge is great for the tribe, but bad for the community. If a solution to a common issue works, then it shouldn't be kept a secret. City MTB knows that when we are humble enough to listen to what works for others, we help not only ourselves, but all those that will learn from us. Just as we don't pretend we invented the methods we discuss, we don't pretend that we can't learn from you. If you have something we think might solve a problem for another city, we will help make that known to others thru creating handouts and illustrations of your solutions. Because of that belief in the community of knowledge, all our materials, from handouts to illustrations, are free for you to use in creating the processes and methods needed to have urban mountain biking in your neighborhoods. We can make things better if we engage everyone in loving nature, because, we protect the things we love. All of use have a choice: make the relatively small choices now that require only a little sacrifice or force our children to have to make huge, painful choices. Or worse, leave them without a choice or recourse. Lets create natural spaces in our towns to help more people fall in love with them and lets reduce our need to travel long distances just to enjoy the natural based activities we love. City MTB wants to make Half Earth , the desire to create low or no human zones over half the earth's surface, something more than a dream. But that can only happen if we bring some activities closer to where we live and create a way to experience nature without interfering with or disrupting no human zones. Urban, suburban and border rural lands filled with activities, that people enjoy, like mountain biking, is the only way to do this.